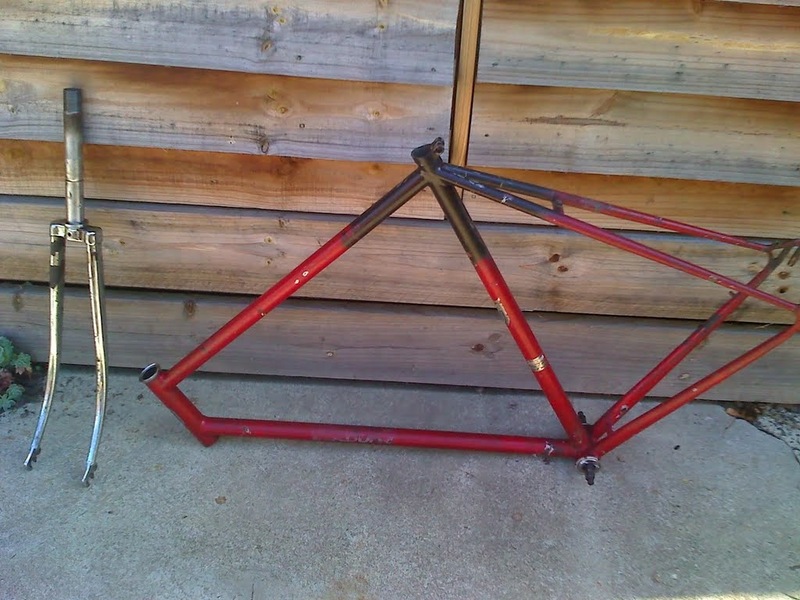 Bikes, etc: Why love old bikes when new bikes do it better? Why do you stick with these old Viscounts when new bikes do it all better? For me it's an emotional/historical connection. Yes I don't mind if you call it nostalgia. Yet this is an interesting fact in itself since most carbon bikes won't last long enough for a rider to form an emotional attachment to them anyway. In its place people form an emotional attachment to a brand, and upgrading or updating regularly, which is exactly what the marketers want. 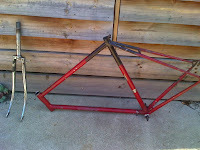 prefer things to have a patina than to be brand new. This makes them more than tools. It makes them alive. Thirdly, I like being part of a very small, crazy group of enthusiasts who (by and large) have never met. And to celebrate a company that is now dead, and that, among many other reasons, died because they tried to give their customers too much. Fourthly, sure I create carbon miles shipping parts around the world, but they are nearly always parts that have been used already or were made long ago. All the stuff we buy has carbon miles on it for shipping (in the case of Aus, 40% of everything comes from China). All the new stuff has the extra carbon footprint of being made to satisfy our personal demand. I strongly believe that buying things second-hand, or finding them, or trading them, means we take a small but important step outside this endless loop of production and consumption. Fifthly, I hate brifters. 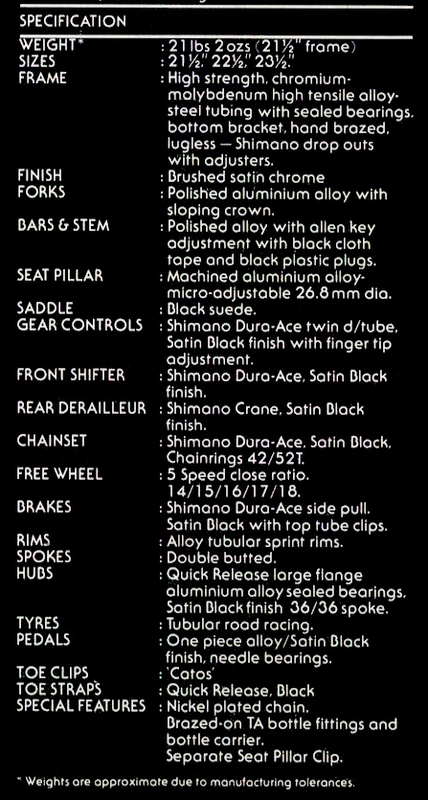 And clipless pedals. And "looking pro". And more than that I hate the unspoken imperative (actually on most group rides it is spoken) that I should love all that. It makes me sound like Clarkson banging on about "flappy paddle gearboxes" but dammit the old soak is right. In a few years time people will laugh at those old codgers who still shift without electronics. Dave Moulton says he never heard the term "suicide shifters" until he moved to the US. He used lever operated front mechs in club races for years, as did everybody else. Tellingly, all the people he met who called them "suicide shifters" had never used them. I've since heard guys refer to downtube shifters as "suicide shifters". Sixthly, as mentioned in a previous blog post, I took a 2012 BMC Race Machine with Sram Red groupset for a test ride a few weeks ago. I was prepared to be wowed and won over. I wasn't. I was then prepared to be underwhelmed when I got back on my Viscount. I wasn't. Probably I'm a pretty crap rider not to be able to tell the difference between a $500 aluminium alloy wheelset and a $2000 carbon wheelset. 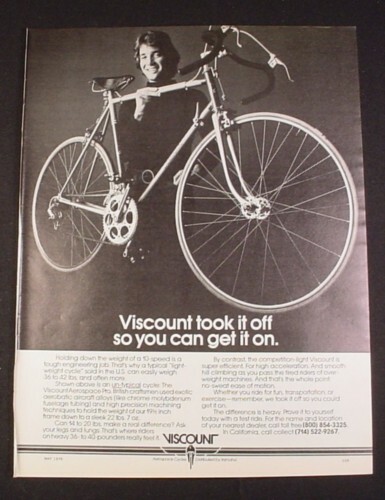 In fact I'm sure that's the bottom line when it comes to my love of Viscounts. But I'm kind of glad about that. All in all, I feel like I've dodged a bullet — I've got enough champagne tastes in other areas already. Hi, could you tell me where did you get the Aerospace Sport "decals", please. I've just got hold of one and the originals have turned to dust.